So, just going outside and hanging out will boost your mood and help you relax which is definitely a good thing for your mental and physical health. We all know that anything we can do to reduce stress benefits our bodies and our minds. It’s simple, reduce stress and you will live longer and happier. But what if you did more activity outside? Studies show that people who exercise outside actually end up exercising more and at a higher intensity level than those who exercise in a gym. It’s magical. 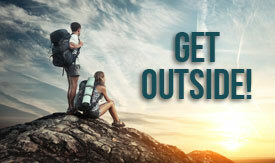 The more you do outside, the more you want to do. Also, it has been proven that people who struggled to keep a commitment to going to the gym were more successful maintaining a exercise routine when it included outside activity. Justgoutside and start seeing the magic work in your life. 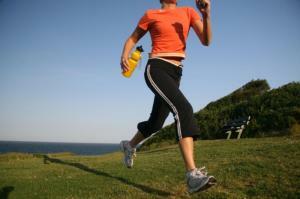 Check out these article about the benefits of exercising outdoors.